If you would like to receive information regarding our current show dates and/or events, please send us your name and email address- we will add you to the list! 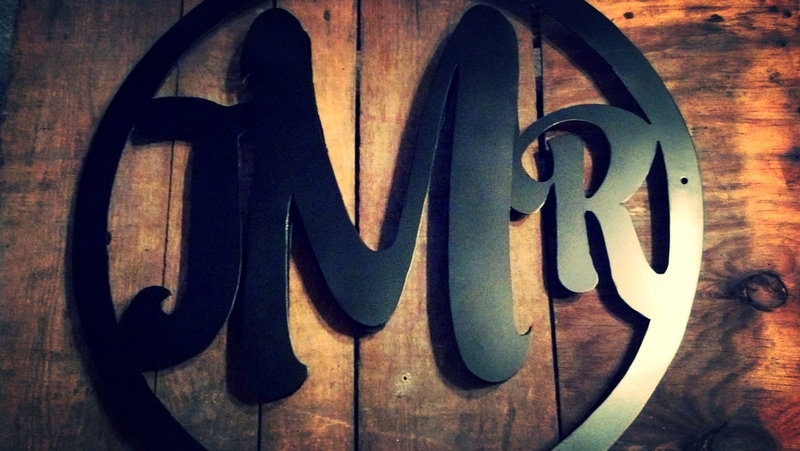 Also,feel free to contact us with questions regarding our metal works, custom pieces or just simply to just say hello, we would love to hear from you! We've had the pleasure of working with numerous clients on custom works for their space over the past few years.We can create custom signage from either a business logo or a design based on a concept of your choice in a variety of finishes such as rust or satin black. 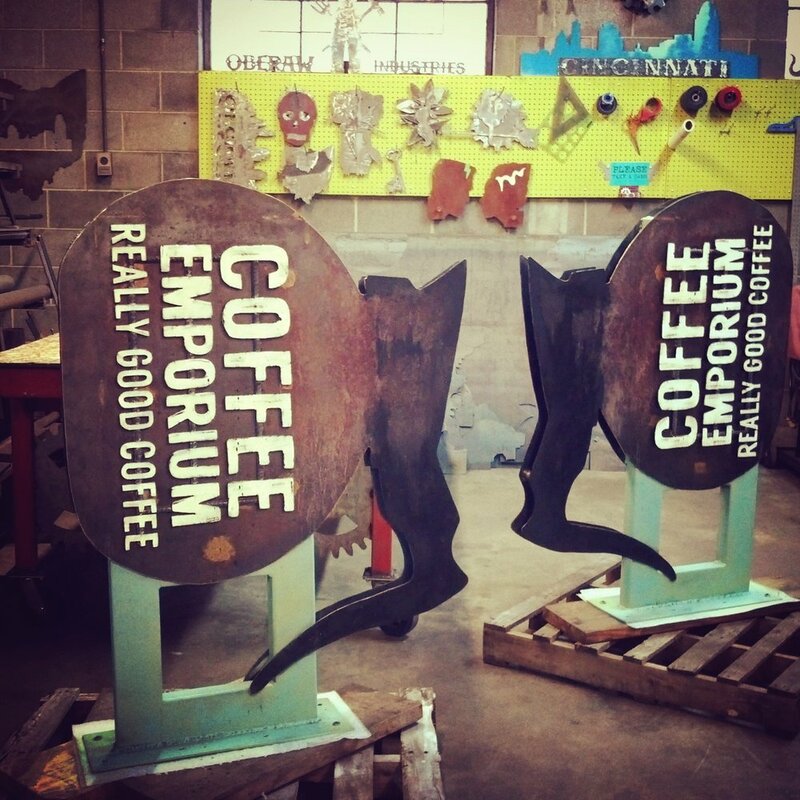 This custom 4ft Ohio sign was created for a new shop in downtown Lebanon named BLUME. For the finish we decided to go with a white wash vintage style with a pop of color with the hand-painted succulent flowers. We also added a heart over Lebanon to make it a true reminder of home. Our first big commission was with Jefferson Social at The Banks in Cincinnati on the Ohio River. 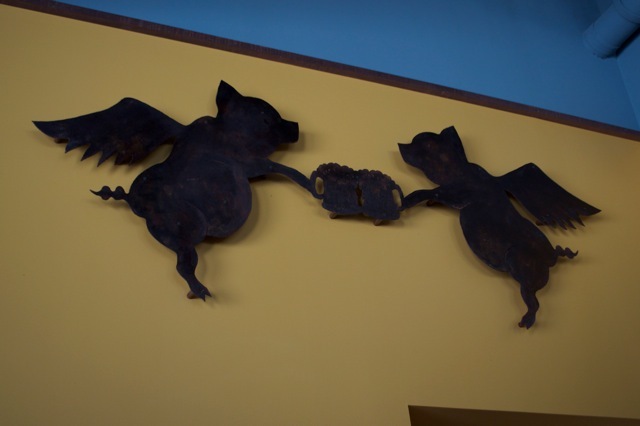 We created custom signs based on their logo along with custom flying pigs with beer mugs and Cincinnati inspired pieces. We had the pleasure of creating this 4ft custom piece for the Cincinnati Reds Season Tickets holders event room. Custom tap handles for jefferson social's riverfront red beer. We created a custom 2' sign for our client's business For Daisy Productions. The satin black finish worked out perfect against the white brick wall in her office. The sign also has spacers on the back to allow it to stand out from the wall. We love to create personalized pieces, if you are looking to add a unique touch to your porch, entry way or summer camp, we can fabricate something that will be one of a kind. Since each piece is different from the next, the price varies based on size, detail and finish. This custom lake sign was a fun one for us, we worked in a few elements per the clients request such as the year when the lake house was purchased and the Indiana to represent the state it is located. For the paddles, we used rebar and sheet steel along with a rust finish to create the aged look for the piece. 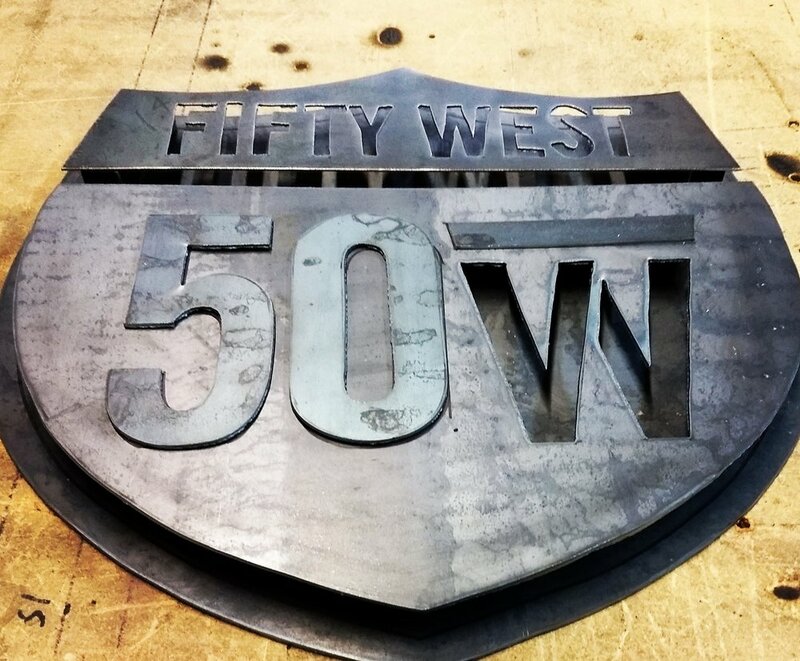 For more information about custom signs and pricing, please fill out the form below and we will get back to you with a quote. 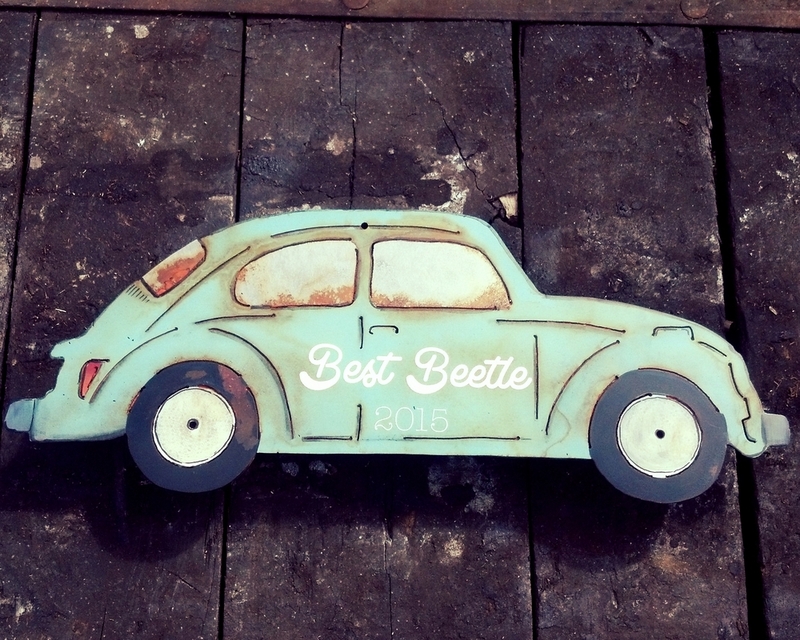 We want to thank you for your interest in a custom sign - you will be receiving a quote from us in the next few days.